Are Loud Environments Putting Your Heart at Risk? One of the risk factors for the heart arrives through the eardrums. Studies have suggested that people who work or live in constantly loud environments may have weakened hearts. More to the point, long-term exposure to blaring noises is believed now to be triggering fatal heart disease. 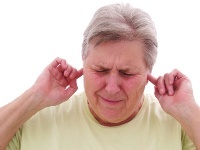 Noise pollution is well-known, but it’s not regarded as being overly important compared to that of air or water. But that may change with this new link showing that people are dying early after exposure to excessive noise. This idea began in 2003 when researchers started looking at the effects of noise across Europe. They found noise caused two percent of Europeans to have poor quality sleep (not surprising). They found that noisy traffic caused three percent to develop ringing in the ears (also not surprising). But these effects are nothing compared to what noise may really do. Noise can raise the level of stress hormones in the body, such as adrenaline and cortisol. If they stick around in the bloodstream for long enough, they begin to raise the risk of major problems. Essentially, noise is causing stress in the blood and this is a well-known cause of strokes, high blood pressure, immune system disorders, and heart failure. One figure from 2006 has it that of 101,000 British adults who died of heart disease, more than 3,000 were caused chronic noise exposure. And all of this happens silently inside you. In one important health breakthrough, researchers compared families with high exposure to noise with those in quieter environments. They also looked at people who were diagnosed with heart problems to see if there was any crossover. This data was overlaid on maps of Europe highlighting noisy cities. They discovered a person’s threshold for noise in the night is 50 decibels — the sound of light traffic. Yet the planet is getting busier and noisier, and we are more prone to stress because of it. the noise of traffic is greatest. Heart disease, matched only recently by cancer, is the leading cause of death worldwide. All efforts to prevent it should be strongly considered. This story goes to show, some efforts exist outside of what you eat, your lifestyle choices, and how much you exercise.